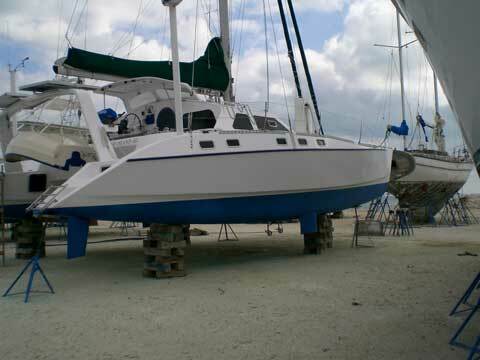 This beautifully executed and updated custom catamaran offers a blend of space, speed, and ease of operation rarely found on modern production cats. The elegant simplicity of her systems combined with a comfortable cruising interior and proven oceangoing capabilities will please the buyer who wants to sail in the lightest of airs and enjoy an unencumbered life at sea. 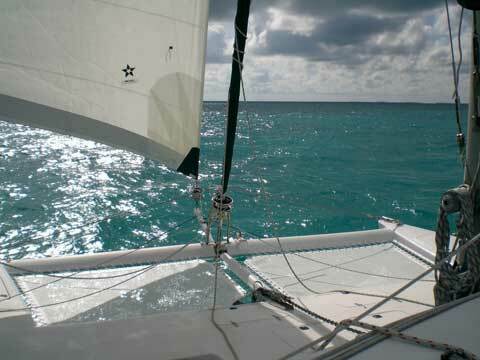 Her rotating mast and daggerboards allow her to point with the monohulls to windward, but off the wind she will leave them in her wake with double digit speed. 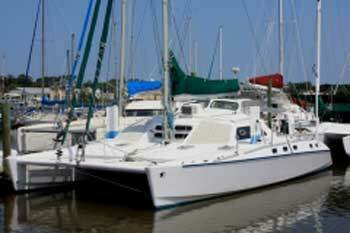 With over 12,000 ocean miles under her hulls, this is a proven performer in turn-key condition. 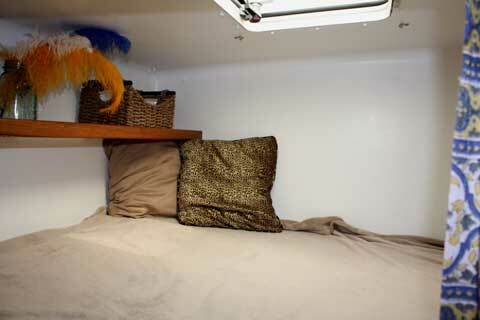 The hull is of GRP/divinycell vacuum bagged foam sandwich. All structural bulkheads are of GRP foam sandwich. 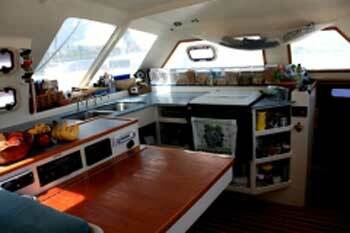 The furniture and saloon cabinets are of GRP and Brazilian cedar with Brazilian cedar trim throughout. Floors are beautifully finished Brazilian cedar and holly. 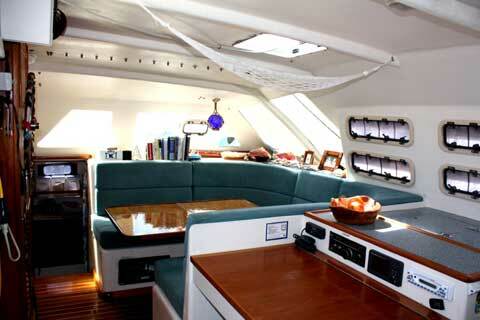 The boat was engineered for ocean cruising and is very strong and lightweight with flared hulls. 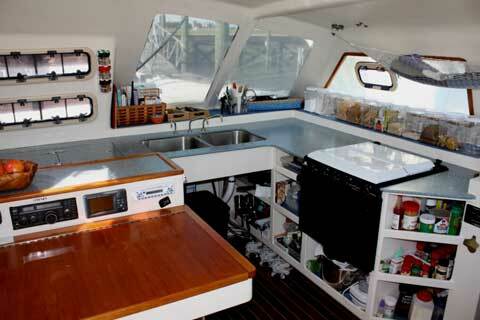 The bright, breezy, and spacious bridgedeck cabin features a U shaped settee with fold down table to port, forward facing nav station in the center, and a u-shaped galley to starboard. Located on the aft bulkhead is the electrical panel and a unique inside steering station. 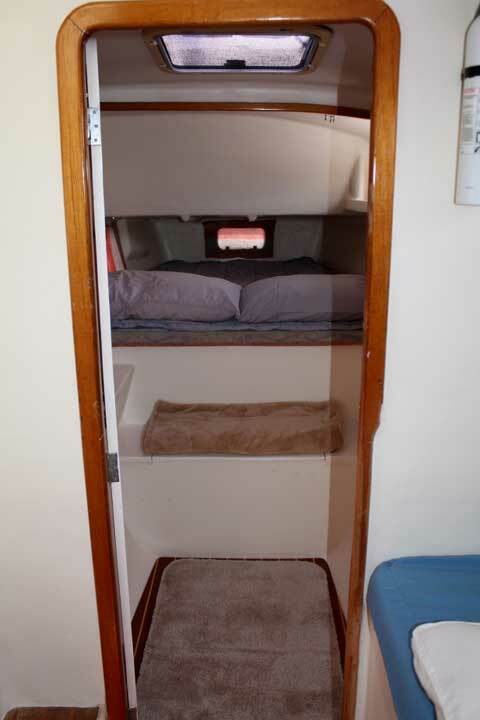 The hulls have identical layouts with double cabins aft and inboard forward, connected by companionways with storage and workspace. 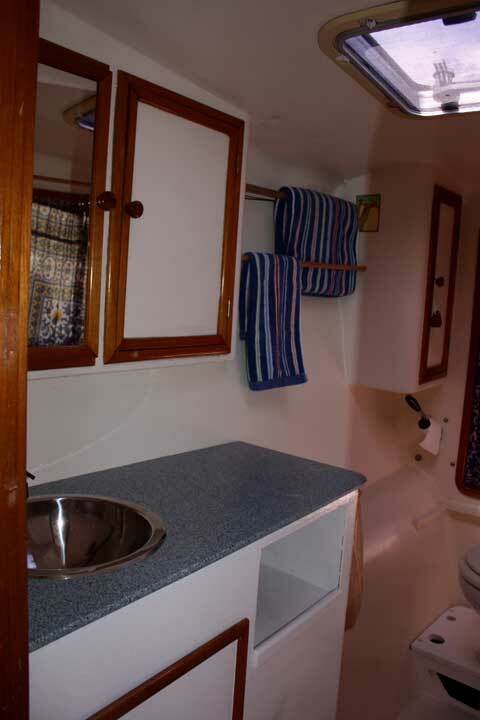 Most forward in each hull are the heads with Lavac toilets and Corian vanities. The interior surfaces are bright white throughout with varnished Brazlian cedar accents and a Brazilian cedar and holly sole. 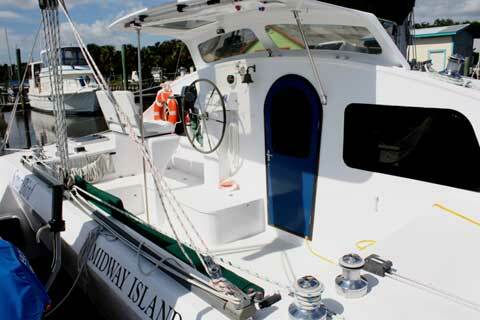 Twin 8 hp Yamaha Four Stroke outboard engines with power tilt to raise completely out of the water, motor at 6 kts.